First of all, I'm very flexible with my wedding packages. I’m available all day to cover your wedding, this could be 3 hours or 12 hours. Bridal preparations, right through to the funky dancing, you can book me for as long or as little as you require. Secondly, my wedding packages can be tailored to your requirements. I provide beautiful contemporary & storybook wedding albums and with all-day coverage, I offer Engagement Shots free with all wedding packages including all-day coverage. My all-day wedding photography coverage is classed as 8 or more hours. Finally, for winter weddings and off-peak days, I offer wedding photography discounts for wedding packages booked during November through to March and weddings during week-days Monday to Thursdays. Wedding Packages with coverage to suit you and your wedding day (coverage options: ceremony and reception, half-day and full-day). The pre-wedding shoot – The perfect time for us to get to know one another ahead of what will be the most important photo shoot of your life! (a photo from this shoot is perfect for Signing Frames). You will receive all the photos from this shoot along with your main wedding day photos. You will receive the high resolution photos without watermarks on USB media – all edited for perfection! They will also be available online for sharing with your friends and family in the private customer galleries. Beautiful wedding day slideshows, personalised with your choice of music. These are supplied in a high definition video format, perfect for phones & tablets. I provided a range of stunning wedding albums, storybook and contemporary matted styles, all personally designed with your chosen photographs. I understand that your wedding package should be perfect for you. So if any of the Wedding Packages listed below are not quite right, you can now create your perfect wedding package using the new wedding Package Builder! 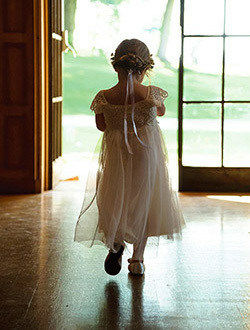 For more extensive package options, why not try the new Wedding Package Builder! Approximate number of photos, dependent on length of coverage. High resolution and water-mark free. A premium USB, presented in a wooden presentation box for safe keeping. are also supplied to you! Two album options are available. Both are deluxe storybook wedding albums with their own unique options. They are both 10 inch square and features your chosen 100 photographs. The 'Ablum Box Set' also comes with a deluxe album box and matching USB for your hi-res images and HD slideshow. A beautiful wedding day slideshow. Your album section is used to create a stunning visual wedding slideshow set to music (you can choose). Should you not want a pre-wedding shoot, you can optionally choose to have an album upgrade in place of it. A larger 12x12 inch Album Box Set. 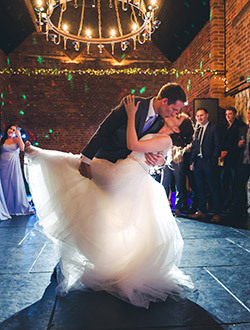 USB & Presentation Box + £25, USB Print Box +£35 – Photo-Booth setup for an hour after first dance +£100. 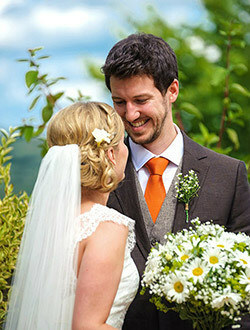 Wedding Packages – For more extensive package options, why not try the new wedding Package Builder. The customer galleries are available for approximately 6 months – perfect for sharing with your friends and family. The USB is included in the All-Day Coverage Package, for all weddings booked after June 2018. 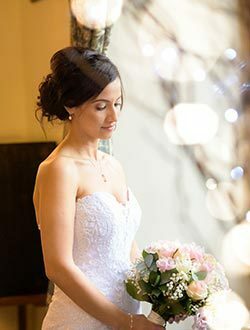 Firstly, Weekday & Winter Weddings – Weekday dates (Monday to Thursday) and any dates during January to March, November and December, are eligible for a 15% package discount. Secondly, wedding packages for last minute bookings are eligible for a 20% discount. Applies to current and follow month only. Excludes Bank Holidays, Christmas Day and New Year’s Eve. You can watch some examples on the Wedding Slideshow page. Plus there’s plenty more on my Youtube Channel. To help you with the million and one questions that you may have, here are a few commonly asked questions. ▸ Is there a booking fee? To secure your date, a £100 non-refundable booking fee is required. The balance is payable no less than 14 days before the wedding. The booking fee can be paid by cheque or cash. An online option is available here for customers who have just received confirmation from Stewart that their date is available. ▸ Do you visit venues before the day? If I have previously not worked at your wedding venue, I will often suggest meeting you there around 4 weeks before your date. However should this not be possible, I always arrive extra early on the day to familiarise myself with the venue and it’s grounds. ▸ We like your work, can we meet up? Of course, I prefer to meet couples in person. This way you can see my real work as opposed to pictures on screen. For wedding appointments, I tend to work from home and have a large portfolio and several albums available for you to look through. ▸ We have other photographers to see – can you hold the date for us whilst we look around? Unfortunately I can not hold dates. Whilst I understand you may need to think about things or see other photographers, dates can not be held without a booking fee. ▸ Do you have any recognised qualifications? Yes I do, I am a LMPA qualified member of the Master Photographers Association (The MPA). I also have a Diploma in Photographic Practices. ▸ How long after do we wait to see our photos? You will first see your photographs online in a private gallery. These are usually available within 2-3 weeks after your wedding date. During peak season, this time may vary, but not too much! ▸ How do we choose our album photos? Your photographs will be available securely online for you and your guest to view in a private gallery. You can choose all your album photos from within the gallery. A package code will be supplied to give you these options. As an optional extra, proof books are also available which contains small printed previews of all your photographs. ▸ How many photographs do you take? Now that’s a tough question. It all depends on the amount of coverage, the venue, the weather, the amount of traveling between venues and photo opportunities available. As a rough guide, with a Silver package I present to you approx. 110 – 150 different photographs – with a Gold package, approx. 180 – 300 and with the Platinum and above packages, anywhere between 300 – 800 photographs. ▸ Do we receive the high resolution images? Yes, the high res images are included in all packages as standard. They will be supplied at high resolution, watermark free, in a standard JPG format. I provided them at a 16MP resolution (5000px longest edge), which is plenty large enough. However they are sometimes shot at a higher resolution (up to 45MP), which can be supplied on request (if available). Please note, these larger image files can be difficult for the average person to use! You will be given full reproduction rights which will allow you to print or developing you own photographs and enlargements. The images will be supplied upon completion of your package. ▸ What time do you arrive on the day? If I am starting with the ceremony, I usually arrive 30 minutes before. As an example, a 3 hour gold package with a ceremony time of 1pm will provide coverage from 12:30pm to 3:30pm.If your package includes all-day coverage, the start time will be discussed with you to fit in with your plans. ▸ We’ve heard that some photographers can be bossy and too demanding – are you like this? No, we’re not all like that. I try to capture your day as it happens and not stage it. Hopefully my website demonstrates my natural and relaxed style. I aim to photograph the couple and guests in a relaxed and friendly manor without imposing on your day too much. ▸ Do you work with any assistants? No, I have always worked by myself ensuring the standard of photography I offer and demand. I also find that couples feel more relaxed when knowing that their day won’t be overtaken by too much photography.However should you require a second photographer, this is something that could be arranged. Yes, I am a full-time professional photographer fully covered by public liability and professional indemnity insurances. ▸ Are we able to purchase more prints? Yes, your photographs will be available securely online in the customer galleries (perfect for sharing with your friends and family). The galleries are online for approximately 6 months features secure ordering facilities and a range of print/enlargement options. For any questions regarding our wedding photography packages and prices, please do not hesitate to contact me!